The U.S. Bank Business Platinum Card is a no-frills credit card designed for owners seeking to limit the cost of carrying a balance. The card offers a 0% introductory annual percentage rate (APR) for a year, and its ongoing APR is as low as 12.24%. However, the low APR comes with a catch: You’ll earn no rewards. The best low-interest business credit cards come with 0% introductory offers of 12 months or longer, ongoing APRs of 14% or lower and no annual fees. Many offer good rewards programs as well. This U.S. Bank business credit card offers solid introductory and ongoing APRs but falls short when it comes to rewards. We give it 3 1/2 stars out of five stars possible. We evaluated all aspects of the U.S. Bank Business Platinum Card. It offers a very low-interest rate that may be available to cardholders with excellent credit of 750 or higher. This is the card’s best attribute, as its APR is at least three percentage points lower than a typical small business credit card. Other cards, however, offer longer 0% introductory APR periods. You’ll pay about two percentage points less in ongoing APR compared with the Bank of America® Business Advantage Cash Rewards Mastercard®. When grading a low-interest business credit card like the U.S. Bank Business Platinum Card, we weight introductory and ongoing APR heaviest. But we also take into account introductory and ongoing rewards, as well as additional features, like purchase protection and extended warranty protection. Based on our five-star rating system where 20 points equals one star, the U.S. Bank Business Platinum Card falls just short of earning four stars. In cases where cards receive excellent scores in most categories, we may award bonus points to boost the card’s rating by half a star. 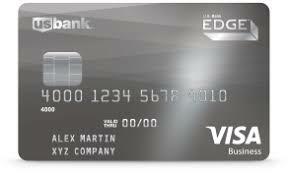 The U.S. Bank Business Platinum Card is best for businesses that frequently carry credit card balances. Switching to a card that offers a low ongoing APR could save your business hundreds to thousands of dollars in financing payments annually depending on the size of your balance. This U.S. Bank business credit card is also a solid choice for an owner looking to finance a large purchase for free, as you’ll get 0% introductory APR for 12 months. The U.S. Bank Business Platinum Card comes with 0% introductory APR on purchases and balance transfers for 12 billing cycles and an ongoing APR of as little as 12.24%. For an even lower ongoing APR, consider the Bank of America® Platinum Visa® Business, which offers an APR as low as 11.49%. The penalty APR will apply until you make six consecutive on-time payments and do not exceed your credit limit. Some credit cards will hold you at the penalty APR indefinitely. Both the introductory and ongoing APRs are the lowest among U.S. Bank business credit cards. Your payment due date is 24 to 30 days after the close of the business cycle ― when you receive your bill. Pay your balance in full by the due date to avoid interest charges. If you are charged interest, you’ll pay no less than $2. The due date is potentially longer than other cards offer, including the minimum 20 days Chase Ink Business Preferred℠ says it will give its cardholders. All U.S. Bank small business credit cards offer the same due date range and minimum interest charge. Other cards offer similar language. Your due date on the Bank of America® Business Advantage Cash Rewards Mastercard®, for example, is at least 25 days from your closing date. Finance charges are at least $1. The U.S. Bank Business Platinum Card offers no introductory or ongoing rewards. This is rare, even among credit cards that charge low interest. American Express Blue Cash Plus offers an APR as low as 15.49% but also plays two times the points on all spending up to $50,000 annually. The Bank of America® Business Advantage Cash Rewards Mastercard® offers an APR as low as 14.49% as well as rewards as high as 3% on certain spending categories. This U.S. Bank business credit card offers several free benefits common to U.S. Bank small business credit cards, including car rental insurance and extended warranty protection. These benefits are common among small business credit cards. When you rent a car using your U.S. Bank card, you’re covered up to the cash value of the vehicle in case of accident or theft on rentals made in the United States and most foreign countries. Coverage is secondary if you have personal auto insurance, which means you’ll have to file a claim with your insurance company first. U.S. Bank will reimburse you for your insurance deductible. Business travel rewards cards like the American Express SimplyCash® Plus card offer primary coverage, meaning you don’t have to file a claim with your personal insurance company. Other primary coverage cards may cap limits as well. U.S. Bank may repair or reimburse for items purchased with your U.S. Bank Business Platinum Card that are damaged or stolen within 90 days of purchase. Coverage is limited to $500 per claim, up to $50,000 per cardholder. Certain types of purchases aren’t covered, like animals and automobiles. Business rewards credit cards offering purchase protection typically limit coverage to either 90 or 120 days after purchase. The U.S. Bank Business Platinum Card offers shorter coverage than the Chase Ink Business Preferred℠, but the same length of coverage as the Capital One® Spark® Miles card. Exclusions here are common across small business credit cards. U.S. Bank will double the manufacturer’s warranty up to an additional one year from the expiration of warranties of three years or less. An item with a six-month warranty would be backed for an additional six months, for example. The issuer will replace the item or reimburse you up to the amount charged on your U.S. Bank card up to $10,000. Certain types of purchases won’t receive extended protection like real estate and medical equipment. The extended warranty protection is weaker than some other small business credit cards offer, including the American Express® Business Gold Card. It offers one additional year of warranty service on purchases with warranties of five years or less. Visa will provide travel, emergency, medical and legal assistance 24 hours a day to the cardholder, cardholder’s spouse, or dependent child age 22 and younger. Like with most small business credit cards, this is mostly a concierge service. In most cases, the cardholder is responsible for the cost of any assistance. Request help by calling from this list of national and international toll-free numbers. The U.S. Bank Business Platinum Card® also comes with a number of spending controls and protections that can help your business manage risk. This includes a liability waiver program that protects against card theft by terminated employees and controls that allow you to set employee spending limits. Most small business credit cards offer ways to monitor or control employee spending, but the liability waiver available on this and other U.S. Bank small business credit cards, are unique. You may be able to find a similar benefit on other Visa-branded small business credit cards. You may request up to 10 employee cards when you submit your application. Once approved, you can ask for more if you need them. Employee cards, like the master account card, come with no annual fee. Most small business credit card issuers ― with the exception of American Express ―charge no fee on employee credit cards, even if the primary card carries an annual fee. The U.S. Bank Business Platinum Card does not offer either introductory or ongoing rewards, which is rare, even for a small business credit card that charges low interest. The Bank of America® Platinum Visa® Business Credit Card offers an even lower possible APR (11.49%), but also comes with introductory rewards worth $300 after you make at least $3000 in purchases within 90 days after account opening. 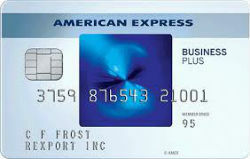 We searched the internet and found numerous U.S. Bank Business Platinum Card user reviews, many of which are positive. Some users say the low-interest rate has helped them build their businesses. Negative reviews often focus on the lack of introductory or ongoing rewards, which is not uncommon for a card designed to offer low-interest rates. You can apply online for the U.S. Bank Business Platinum Card. Fill out a basic application containing both business and personal information, and you could be approved instantly. Once you’re approved, you’ll receive your card in the mail within seven to 10 days. If you’re not instantly approved, you can check your application status on U.S. Bank’s website. If you’re rejected, consider a business card for fair credit. Login to your U.S. Bank Business Platinum Card account on U.S. Bank’s website by providing your user ID and password. You can also contact customer service for U.S. Bank business cards at 866-485-4545. U.S. Bank offers a number of small business credit cards designed for different kind of spending needs, including travel rewards and cash back. Find the card that best rewards your business’ spending. U.S. Bank Business Select Rewards Card: This card is best for owners who want to choose which bonus category offers the most rewards; you’ll earn three times the points in a spending category of your choice, including day-to-day expenses, automotive and travel and entertainment.